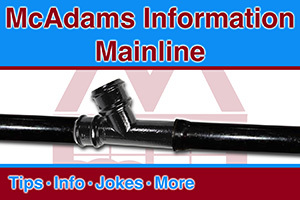 Video Testimonials - McAdams Plumbing, Inc.
Testimonials are one of the best ways for a company to show how happy their customers are with the service they received. McAdams Plumbing is honored to have such a great customer base. How great are they? Great enough to volunteer their personal time to allow us to interview them about the service they received while being recorded! We can’t thank these folks enough for their willingness to join in. 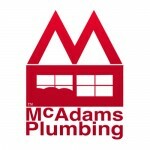 If you or anyone you know has had McAdams Plumbing provide a service and would like to volunteer a video testimonial please contact Jacqueline at jac@mcadamsplumbing.com. Hope you like what you hear! We had the pleasure of bringing Chris in as one of our new lifetime customers. He was a pleasure to do business with and we are very grateful that he was willing to take some time out of his day to offer this interview. 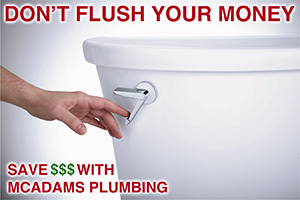 McAdams Plumbing has great customers. Nicole here is one of the greatest. She might as well be an Ambassador for our company with all the promoting she does around town. Here she is talking about her experience with MP. Thanks Nicole! Our friend and loyal customer Eddie gives his opinions on working with McAdams Plumbing. Thanks Eddie! Jay tells you a little about her experience with McAdams Plumbing replacing her failing water heater. Thanks for all your kind words Jay! Our friend Brad in Denver talks about his bathroom remodels as well as his garbage disposal and under-sink re-pipe experience with McAdams Plumbing. Plus, the guy has just the funniest laugh you’ll ever hear. Enjoy!